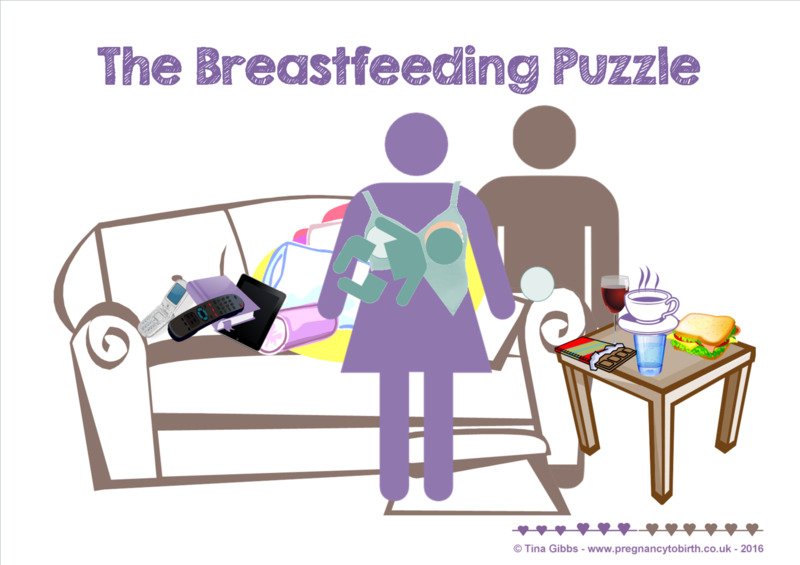 The Breastfeeding Puzzle - activity. A4 pages. Print the pages, laminate and cut out separate pieces e.g. sofa, mother, table, baby, ... In session, clients get a picture each (or more) and put them down one at a time and discuss why they may or may not need the item. 4 A4 pages with pictures, 1 page "finished" picture and 1 page with instructions. 4 babies (for families expecting more than one).